This second day of riding I already knew it was going to be much different from the first, thanks to connections made via Strava, I was able to hook up with 2 Italian diplomats who pretty much rule the Abuja riding scene by placing 1st and 2nd in every segment (never mind that they created all those segments). One of them after hearing about my wheel mishap actually was kind enough to lend me an extra wheel he had. I was supposed to get it at the meeting point at 5:30am, due to the torturous temperatures in this part of the world most people choose to exercise early in the morning and drink in the evening. 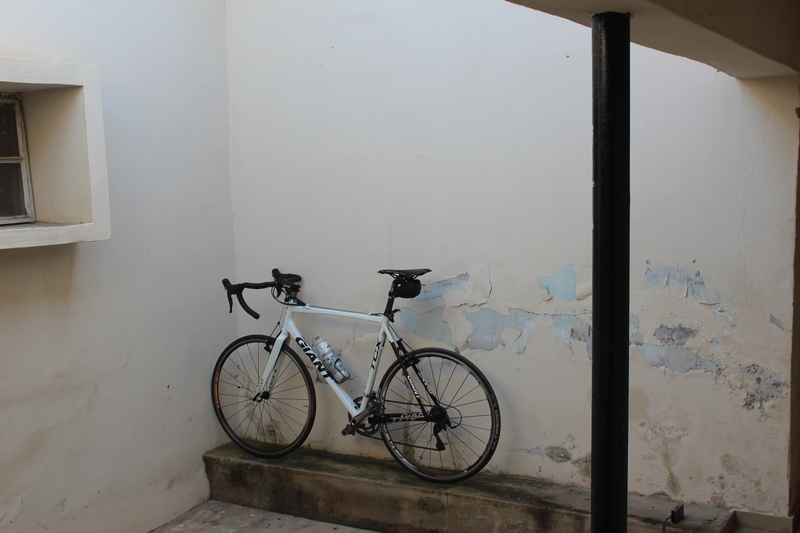 For 5:30am, the temperature was “lukewarm”, not uncomfortable but not the best temperature for cycling, you could feel the onset of the hummid day that it was going to be. 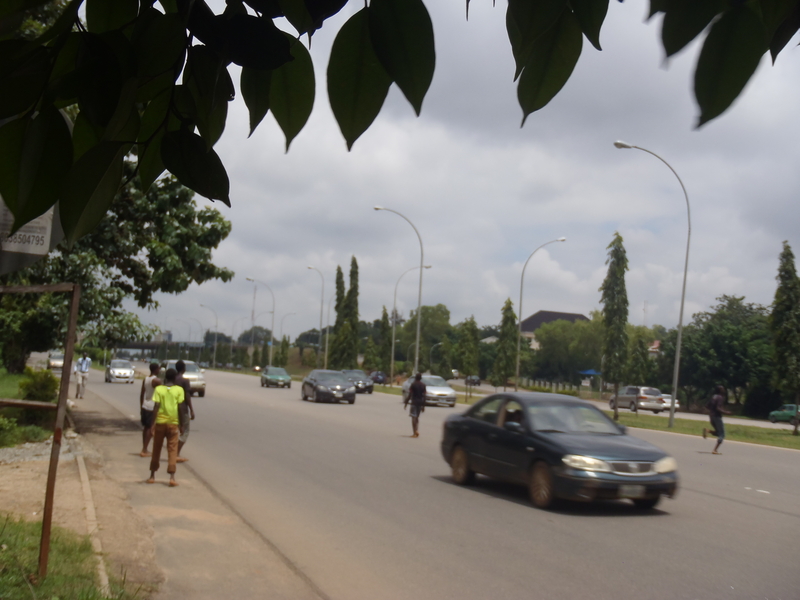 The street subdued with the mellow glow of street lights, the double headed street light, an Abuja staple that that I remember marveling at as a kid (on the airport road you could see them for miles creating a chandelier that unwound as the road winds toward the evening horizon) . Early risers quietly unravel their day, they stroll by primarily in ones and twos, all with purpose in their step and a gate that is uniquely African like a “life is hard but it could be worse” step. I find myself wondering what life for this person is… Is he a taxi driver, a teacher who has to trek 10miles to the bus stop, a pastor coming back from a night vigil? 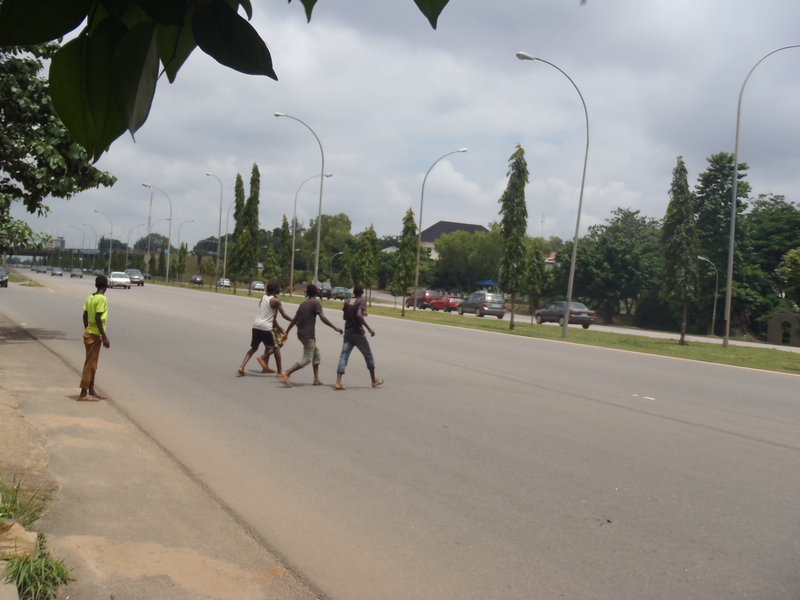 Like I said, in Abuja, most of the cardio and solo sports are done in the mornings, I never saw a runner or cyclist in the evening, in reality the evening is reserved for team sports especially the world’s most popular sport, Football (Soccer in America). We saddled up I slot in behind the guys checking out their machines, Luca was on a Cervelo S5 with aero bars and Fab on a Passioni Titanium number clearly custom, running Campy Super Record (Mechanical). I on the other hand was on my beat up Giant TCX 3 (entry level cross bike) but like Lance said “Its not about the bike”- does make a big difference though. We got on the express fairly quickly and Luca did most of the pulling, I had decided that despite my primal instinct to jump on the front and show that I too am good at challenging Newton’s third law of motion: When one body exerts a force on a second body, the second body simultaneously exerts a force equal in magnitude and opposite in direction on the first body. We go for about 4 miles and turn off onto Federl Secretatriate Road, a very important road I will come to find out later and explain in a later post. The roads have speed bumps in the most awkward places like in the middle of a 50mph road or righr in front of a traffic light. This results in drivers needing to gingerly ascend two speed bumps before the light turns back to red with only 3 cars having crossed the junction. The Italians already knew all the cracks and shunts through the speed bumps so I had to rely on my bike handling skills to maintain contact of their wheel and not have to jump everytime they open a gap when we go over a bump. 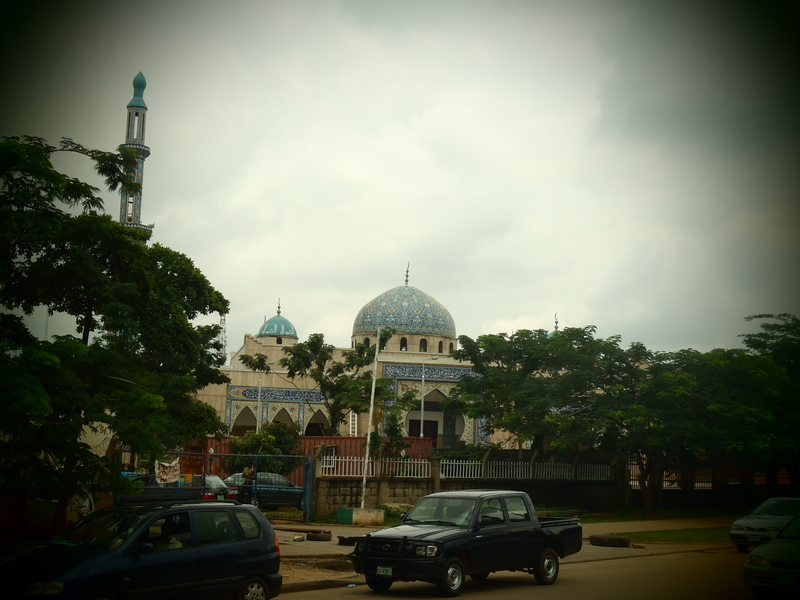 We go pass the National Mosque with the twin towers and the Abuja monument (all still under construction) on the horizon. 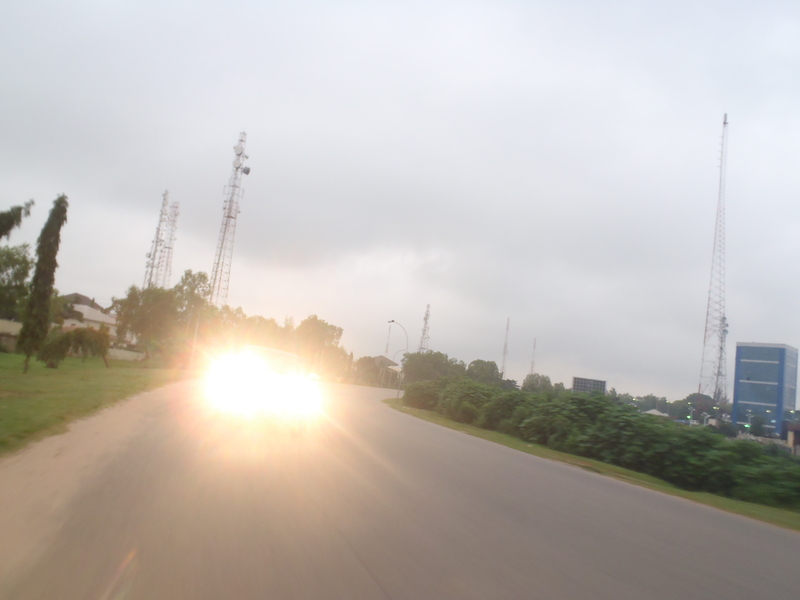 The sun is fully out now trying to flex its muscle but this time of the year the clouds rule, its raining season and to the east its looking like the chase car might be used for more than just protection from other road users. We get on the Jabi-Lifecamp express way and I catch sight of the posted speed limit of 100km/hr and smile as I don’t believe any car capable of breaking that doesn’t, The only cars staying under that are those limited by mechanical issues. The guys drop the pace a little and we shoot the breeze a little, I tell them about the secret cycling Paradise Cumberland and they tell me about not so secret cycling wonderland Italy, they inform me I don’t look anything like my Strava page suggests, they say I look more like a sprinter I concur (Ya Think!? ), I am fully aware that I am not quick like a true sprinter or light and fast like a climber I just strong like a farm boy who happened upon a bike in a field and even that not for very long. A motorcycle zooms by and Fab gives chase, as usual with me I cant help my self and lunge from behind Luca to get a hold of Fab, just before he can get in the draft of the motorcycle he runs out of steam so I come around and finish the job, I figured he was to gassed to stay on my wheel but a quick glance shows him in the tightest tuck I have ever seen… Looked like a Pray mantis on a stock, I take note that I am burning one of two (maybe three) matches I have left, I am brought back to the present by Fab coming around to keep the fight going, I’m thinking these guys sure do recover quick. I needed at least 10 minutes to recover but I could not get dropped in this stretch of Kamikaze motorists, I needed to stay in the group, so I slotted back behind Luca who I came to learn never jumps. Luca is a triathlete and tries to maintain a steady tempo pace not zig-zagging along his HR zones, Fab on the other hand is a road racer with the riding style of Alejandro Valverde, s especially on the kickers. Getting used to my trusty clunker by this point. Breakfast after the ride… Vegetable taste so much sweeter, compared to this what I eat from Walmart tastes like plastic. We go around the scariest Traffic Circle AKA Roundabout I have ever been on, It was everyman for himself as even the chase car could do little to protect us. My legs were fried from the constant pedaling but to stay alive (literarily) I had to sprint across all the exits that come off the traffic circle. Just when I was about to throw the towel in we got off the expressway and I realized I was back in Wuse about 3 miles from my home. 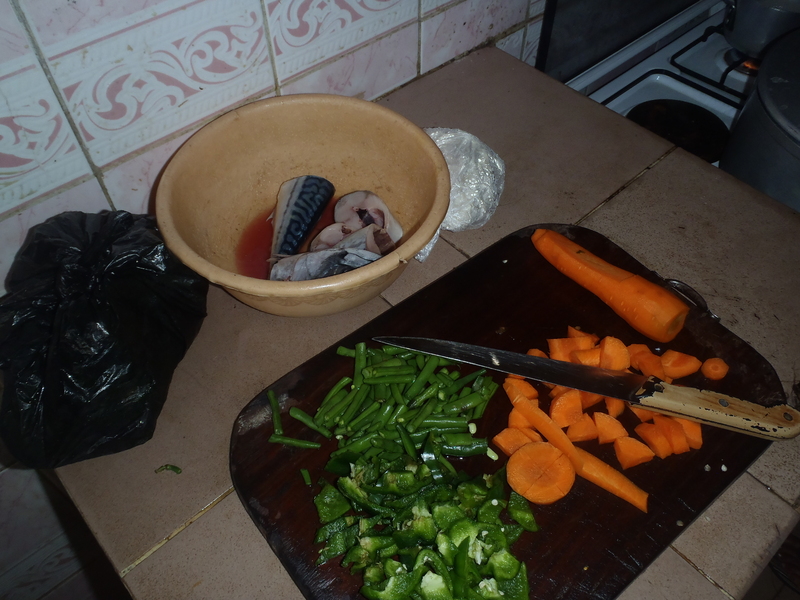 I thanked the guys and crawled to a refreshing breakfast of boiled spicy fish, vegetable stew and fried yams. 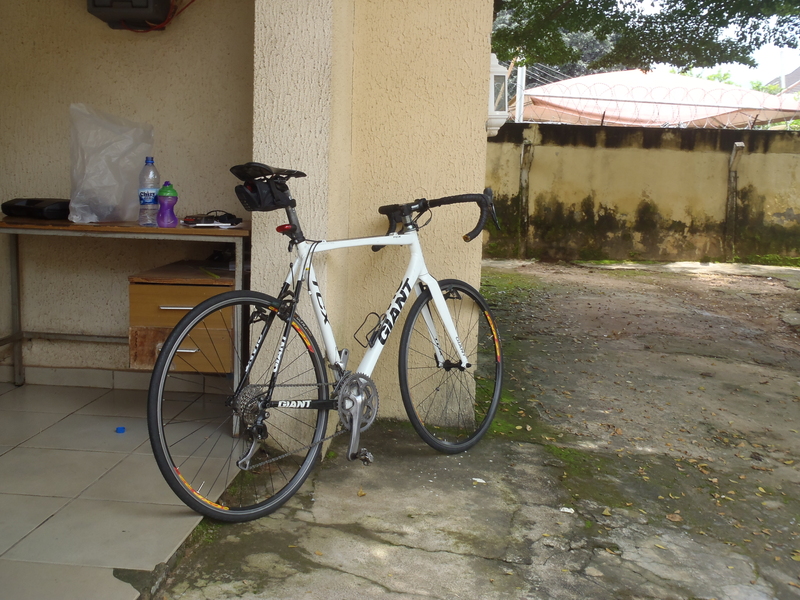 This entry was posted in Ride/Race Reports, Uncategorized, Wanderlust and tagged Aso Rock, bicycle Nigeria, bicycling Abuja, bike travelling, biking, Biking Nigeria, clydesdale, cycling, fish, Italian, Nigeria, outdoors, Paceline, Passioni, ride report, wanderlust, Zone 4 Abuja by mandex22. Bookmark the permalink. Very nice! I love how you write. It paints such a clear picture. I feel like I’m there watching. Good right up. I ride a lot here in Texas and have done multiple century rides. I hope I can go back to Nigeria someday and enjoy my Riding hobby. Are there any road races in Lagos or Abuja? 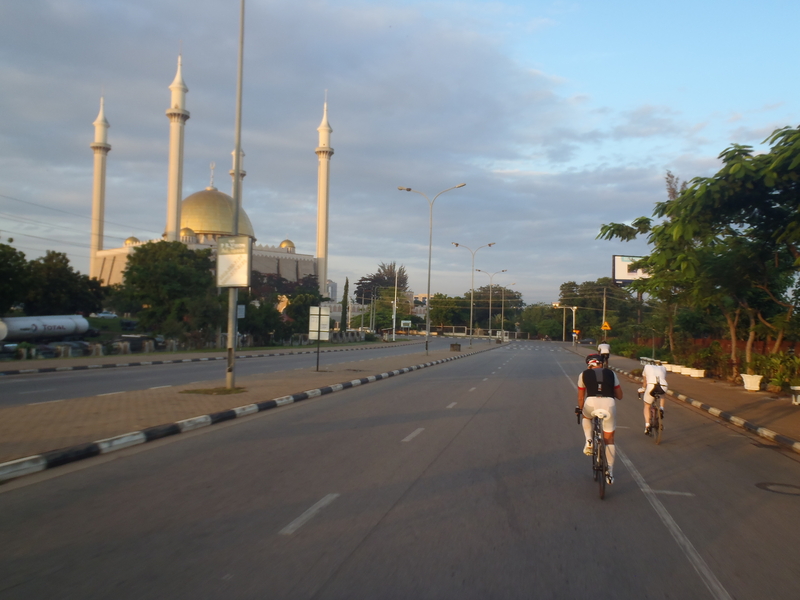 Thanks James, there is definitely a flourishing bike scene in Nigeria, especially Lagos and Abuja. I do believe they have races and events, I know of two clubs cyclogy and old bastards. A quick search on Strava will show some of this. Thanks for stopping by, keep riding. I believe the racing scene in Nigeria is really growing. I am aware of a couple races in Lagos not so much in Abuja.